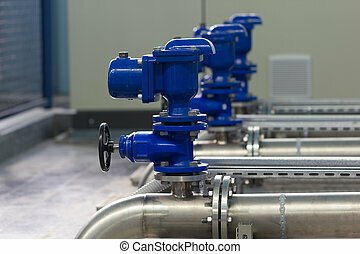 Cooling water preparation in industrial process. 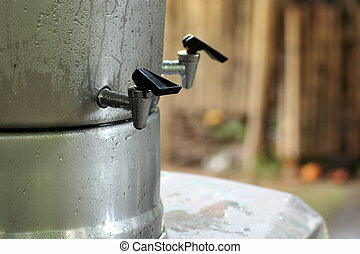 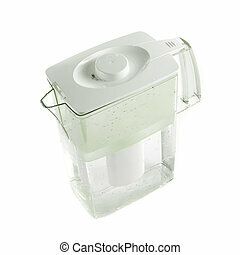 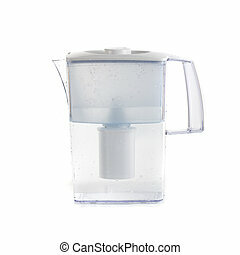 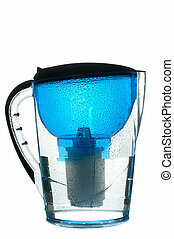 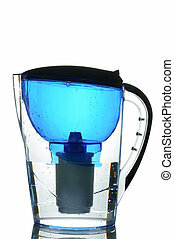 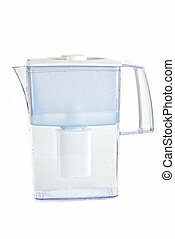 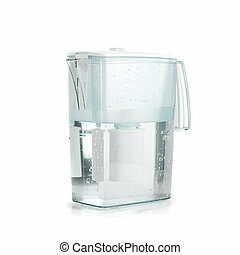 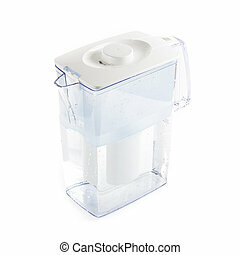 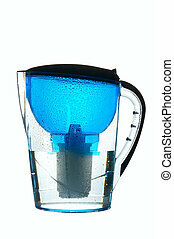 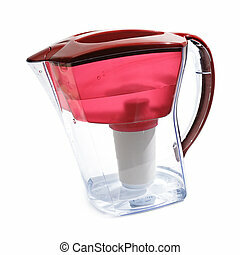 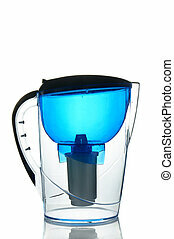 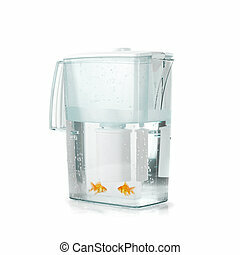 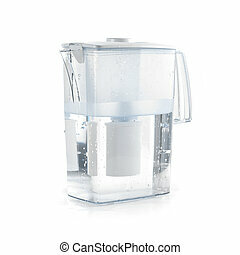 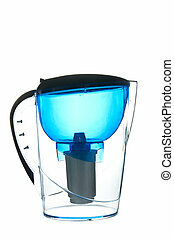 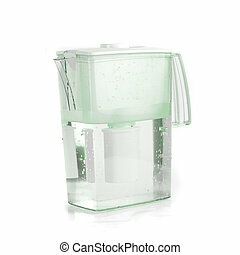 Water filter isolated on a white background. 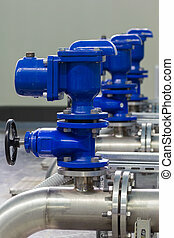 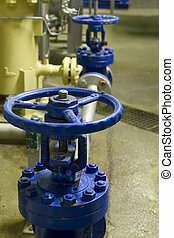 Industrial pipes and valves in water distribution process. 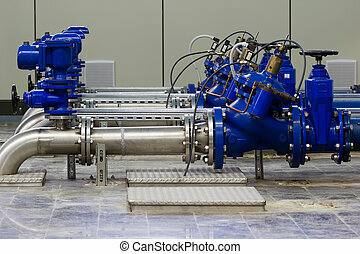 Water pumping station with booster pumps and valves. 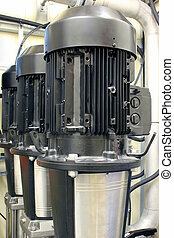 Electric motors driving water pumps. 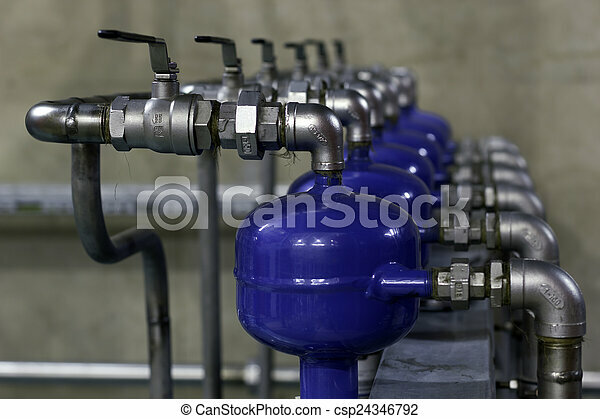 Industrial scene with pipes and blue valves.